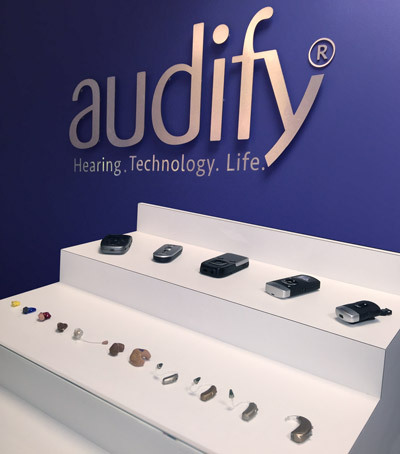 Most of the models of audifier and hearing aid shown here are advanced computers, with electronics so cleverly miniaturised that some of them can be worn completely invisibly. 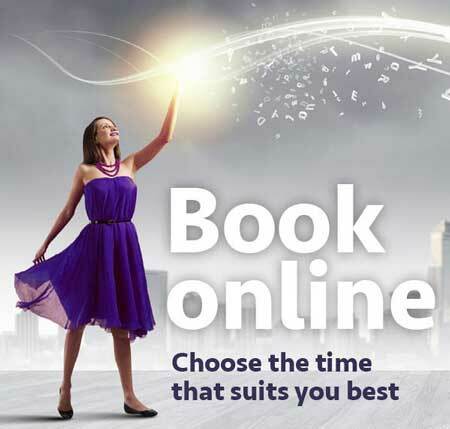 Whilst others pack in additional technologies that take them beyond mere enhancement, giving those who use them advantages far beyond that of natural hearing – such as connectivity to smart phones and other technologies. All the models and styles shown here are available through us, and our independence and industry connections mean we can often track down other models and technologies should you need something specific. Extended wear means it can be worn 24/7. 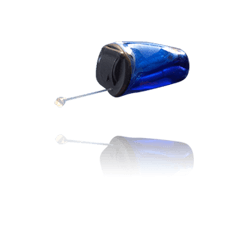 It is inserted deep into the ear canal for 100% invisibility, making use of the ears natural acoustic properties to further enhance the sound and reduce the need for additional features. The ultimate in discreetness. 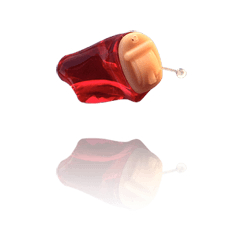 Custom made to the shape of your ears, the IIC is designed to recess deeply into the ear canal. 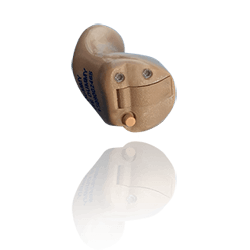 The original covert hearing device, the CIC is designed to fit completely in the ear canal. Unlike the Invisible In Canal (IIC) it may be visible at certain angles (e.g. looking directly at ear canal) in some ears, depending on the physical properties of the individual ear. 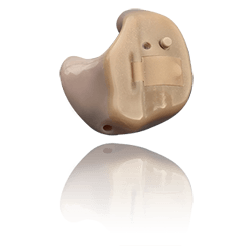 In the Canal custom hearing devices balance features with discretion. They are generally hidden when viewed from the front but may be visible from the side. However the extra room they provide gives space to incorporate technologies such as directional microphones and a button for changing programmes. Remote microphone technology extends the microphone to sit into the upper contour of the bowl of the ear. Its unique placement there enable it to capture more high frequencies (speech enhancement), reduce unhelpful sounds coming from behind, and reduce wind noise. 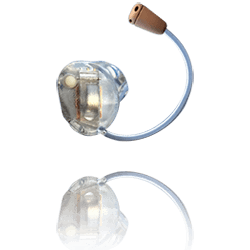 In the Ear hearing aids generally fill either half or all of the entire bowl of the ear. They are ideal where ease of handling is important or where added security (retention) in the ear is required. 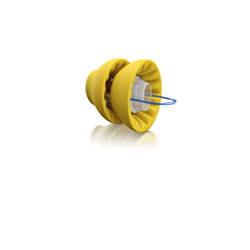 Receiver in canal audifiers and hearing aids are possibly the most versatile of all today's hearing technology. The speaker is located in the ear canal for maximal sound quality whilst the the microphones and chip are housed externally, providing more room for technology and scope for award-winning styling. 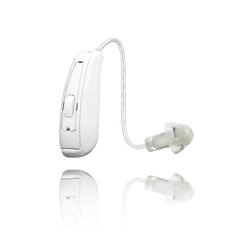 They are neat, discreet and available for more levels of hearing. 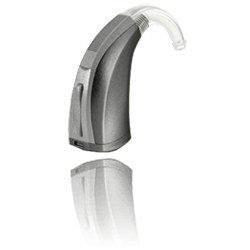 Behind the Ear hearing aids are arguably the most robust of all hearing devices. All the electronics are kept outside the ear and sound is delivered to the ear via a separate but attached earpiece. 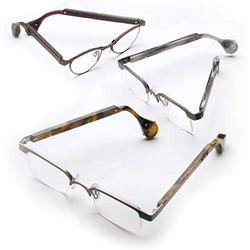 Air conduction spectacles deliver the sound to the ears via the ear canal like a traditional hearing aid. Some models use Receiver in Canal technology whilst others use Behind the Ear technology. 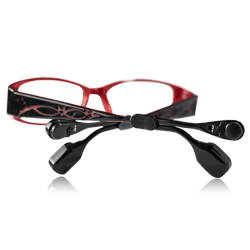 Bone conduction spectacles transfer the sound into the ear by means of a lightweight vibrating pad on the bone behind the ear. This keeps the ear canal completely open.